Visit the magnificent Grade I former home of the Leicester family and enjoy a fascinating insight into three strong women of Tabley, whose lives and successes left an enduring imprint on Tabley history. 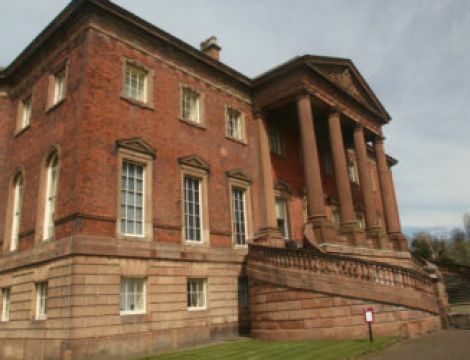 Tabley House is a Grade I site, the finest Palladian mansion in Cheshire. The estate was home to the Leicester family for 700 years, until the mid-1970s. Their legacy is The Tabley House Collection, which includes some of the finest art, furniture and books that their money could buy. Tabley House is now owned by the University of Manchester and the Collection is managed on behalf of the University by The Tabley House Collection Trust. The Leicester family history is fascinating. The specially-curated Women at the Heart of Tabley exhibition has been brought together through research into the Collection and the recognition of these women and their roles: Meriel Leicester, an educated heiress and the pivotal link between the old and new Leicesters; Catherine Fleming Lady Leicester, the sterling manager of the Estate; and Eleanor Leighton, the guardian of family reputation and prestige. For each generation of Leicester women, often despite social and political restraints, there are examples of courage, tenacity, resourcefulness, care and great influence. The exhibition is on display in the Dining Room, the Octagon Room and the Gallery. The house is accessible for those with mobility problems or wheelchair users. Please phone 01565 750151 beforehand if this facility is needed, as a separate entrance is used. For those using the usual entrance, please note there are some uneven surfaces and steps.